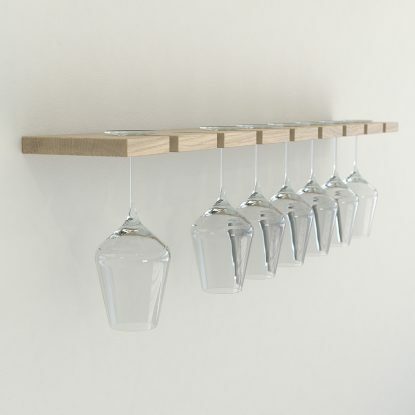 These beautiful floating oak wine glass racks are an elegant and practical way to safely store your glasses and keep them within easy reach. 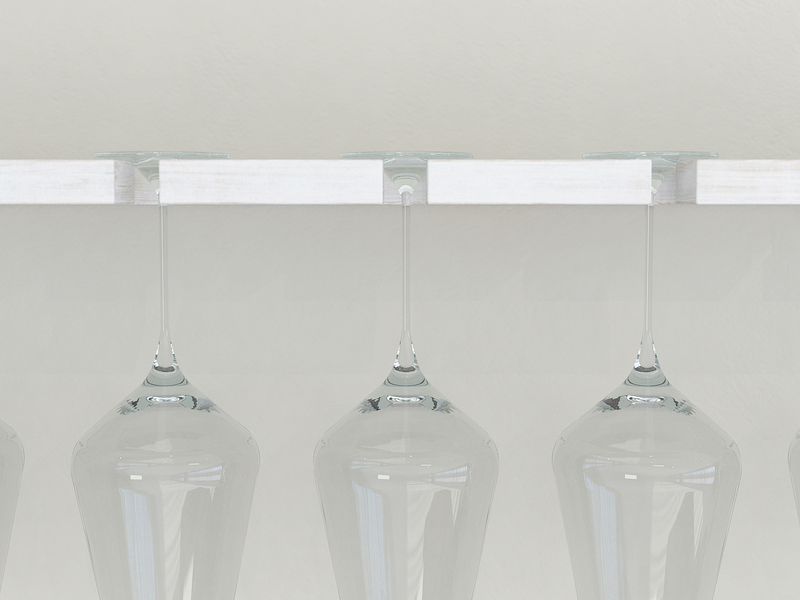 Ideal for home use in the kitchen, dining room or conservatory while entertaining family and friends, or simply enjoying a glass of your favourite vintage by yourself, the wine racks would also make an attractive and functional feature in restaurants, cafes or bars. 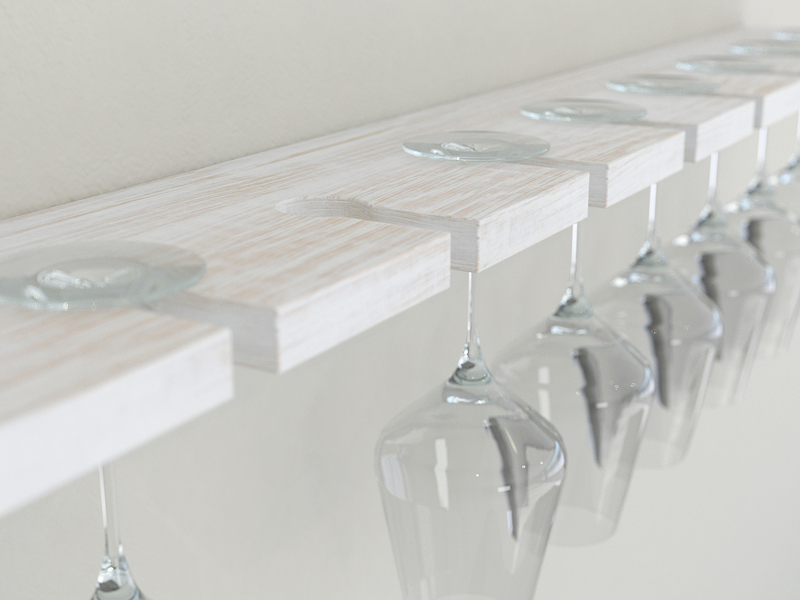 Made from sustainable American oak, the hand-crafted wine racks are available in 4, 6, 8, 10 and 12 glass capacities. 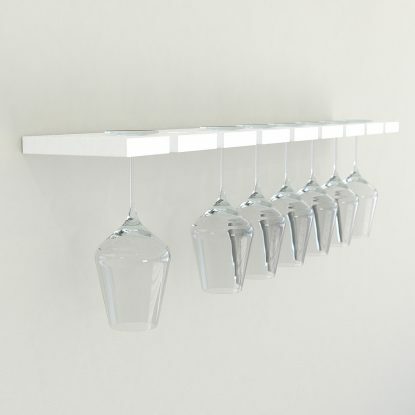 Supplied and shown here in a rustic white finish, which is painted and distressed by hand to create a shabby chic effect. 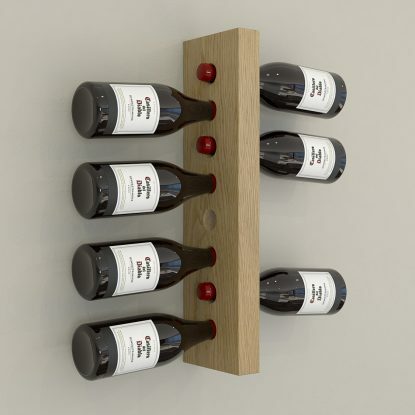 We also supply a range of other finishes – please see our other wine rack listings for these. 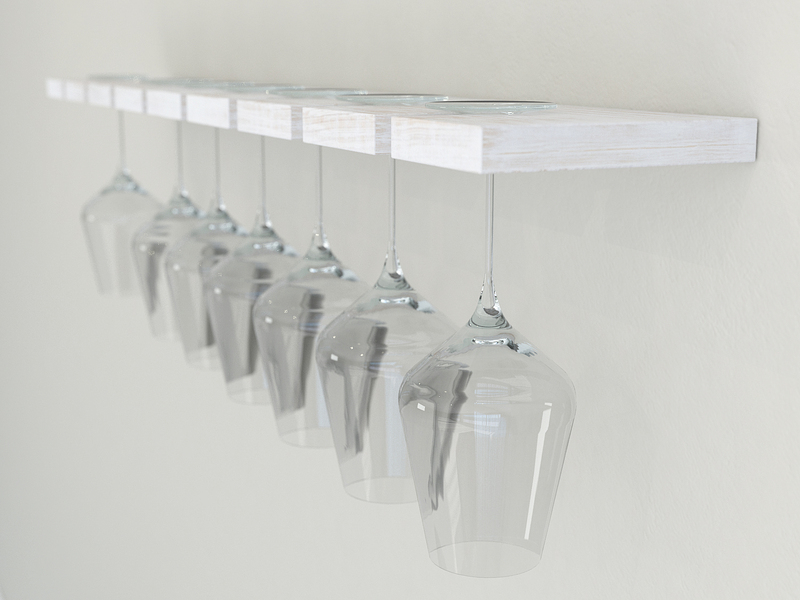 Each floating oak wine glass rack measures 145mm deep x 20mm thick and is mounted using concealed shelf brackets for a seamless finish. 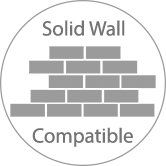 Your order is shipped with everything you need, including easy to follow instructions, for quick home installation. 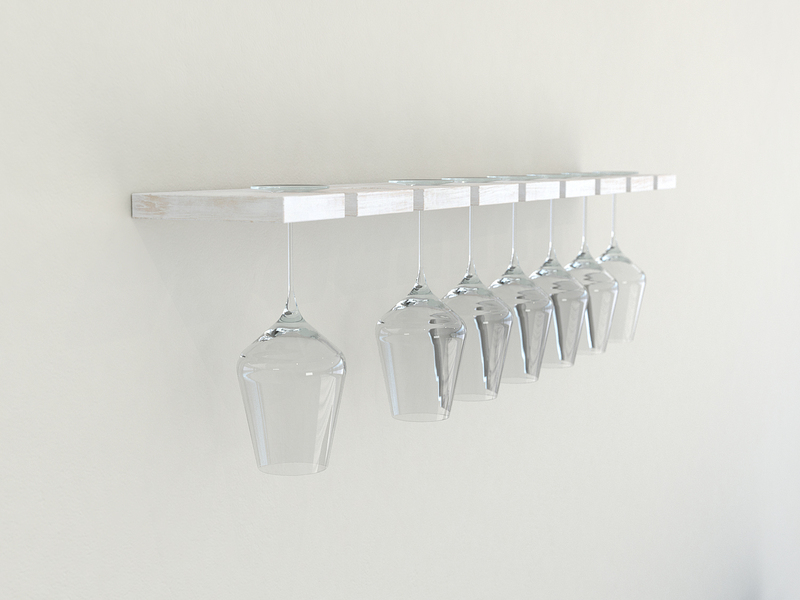 Once in place, the occasional wipe with a clean cloth is all it takes to keep your natural wooden wine rack looking its best. 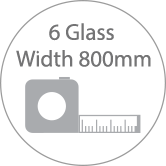 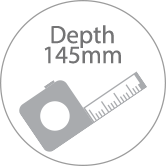 Please also see the “Video” tab above for our handy visual guides on fitting our floating shelves and glass racks.